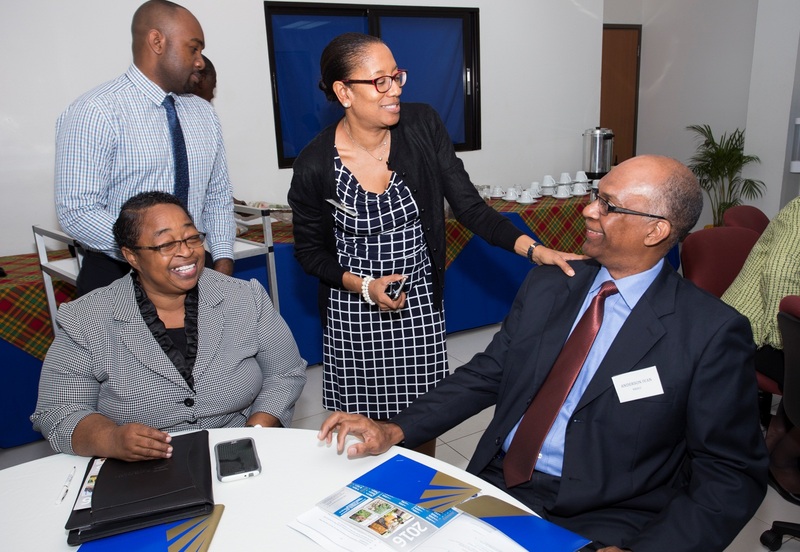 Veronica Warmington, Deputy Financial Secretary in the Ministry of Finance and the Public Service; Denise Arana, General Manager, Public-Private Partnerships and Privatisation (P4), DBJ; and Ivan Anderson, Managing Director of the National Road Operating and Construction Company, share a light moment at the first session of the Review of the Concession Agreement workshop, January 27, 2016, at the Planning Institute of Jamaica. Ricardo Munroe, P4 Manager at the DBJ, is in the background. S. Brian Samuels, PPP Coordinator from Caribbean Development Bank (CDB), speaks on CDB’s involvement in the PPP Boot Camp at the opening ceremony on February 2, 2016, at the Spanish Court Hotel in Kingston, Jamaica. 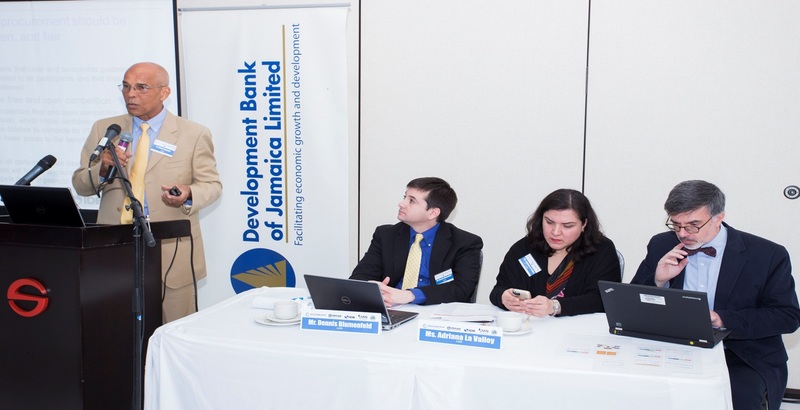 Seated from left are Dennis Allen Blumenfeld from the Inter-American Development Bank (IDB); Adriana La Valley, also from the IDB; and Rui Monteiro from the World Bank. Denise Arana, General Manager of the DBJ’s PPP & Privatisation Division, speaks on “The Jamaican PPP Experience – Unsolicited Proposals” at the PPP Boot Camp on February 2, 2016, in Kingston. 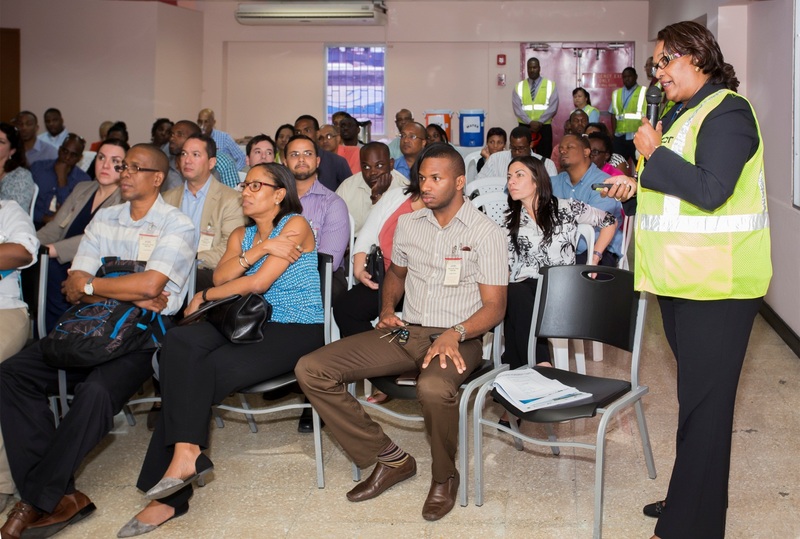 During the site visit at the Kingston Container Terminal (KCT), Beverley Williamson, Senior Vice President of Business Development, Port Authority of Jamaica, gave a presentation on the KCT Privatisation process. 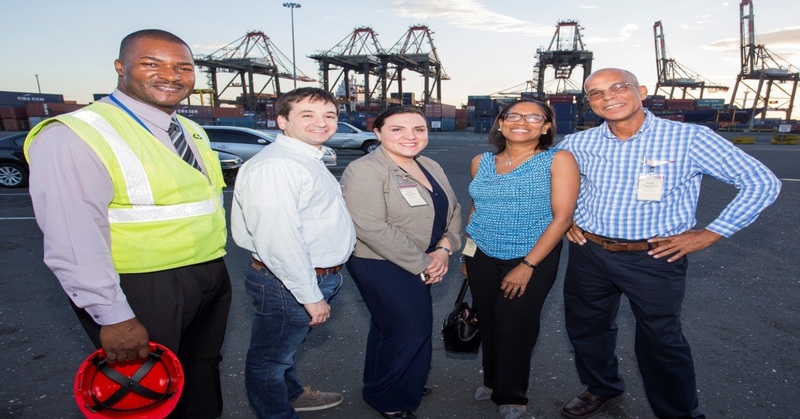 Adrian Brown (left), Corporate Communication Manager of Kingston Container Terminal (KCT); Dennis Blumenfeld of the Inter-American Development Bank (IDB); Adriana La Valley of Inter-American Development Bank; Denise Arana, General Manager of PPP & Privatisation, DBJ; and S. Brian Samuels of the Caribbean Development Bank posed for the camera during the site visit to KCT. At left, Galina Sotirova, Country Representative of the World Bank, gives an address at the closing ceremony at the PPP Boot Camp. 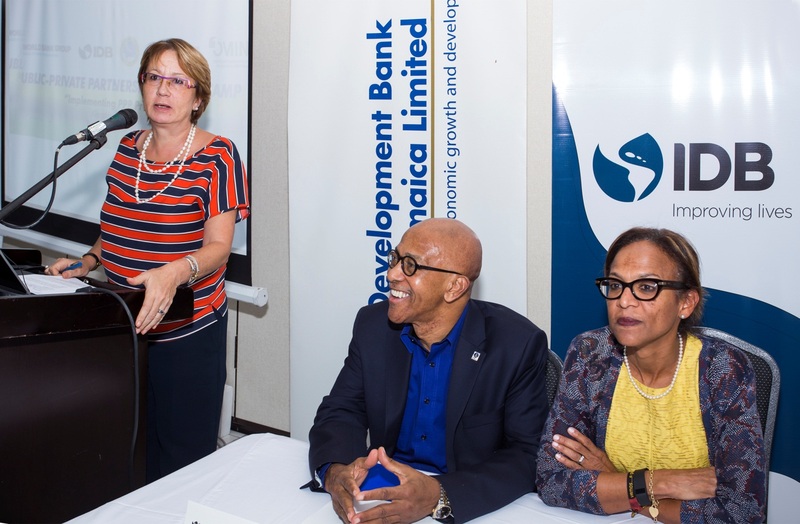 Listening are Milverton Reynolds, Managing Director, DBJ; and Therese Turner Jones, Country Representative of the Inter-American Development Bank. 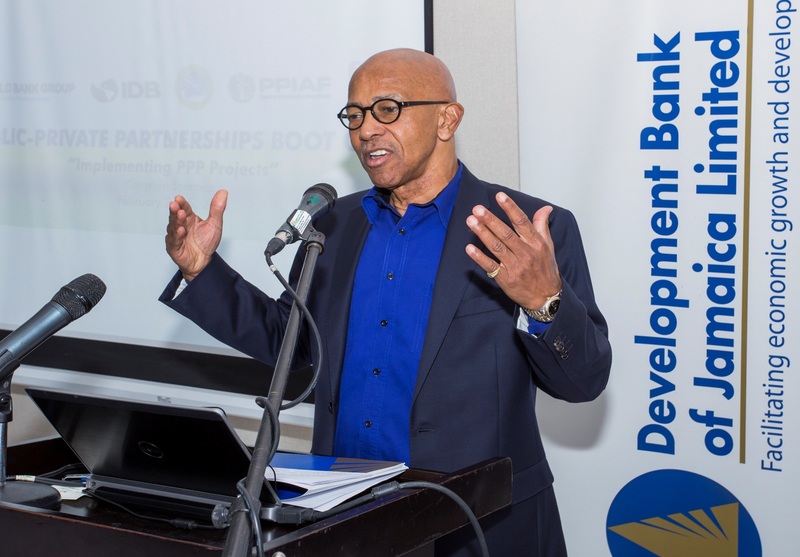 Milverton Reynolds, Managing Director of the Development Bank of Jamaica, gives the closing address at the PPP Boot Camp closing ceremony on February 5, 2016, in Kingston.